The brand is suiting up for Anaheim’s main event. Charvel has set its NAMM plans in motion with a huge line-up. 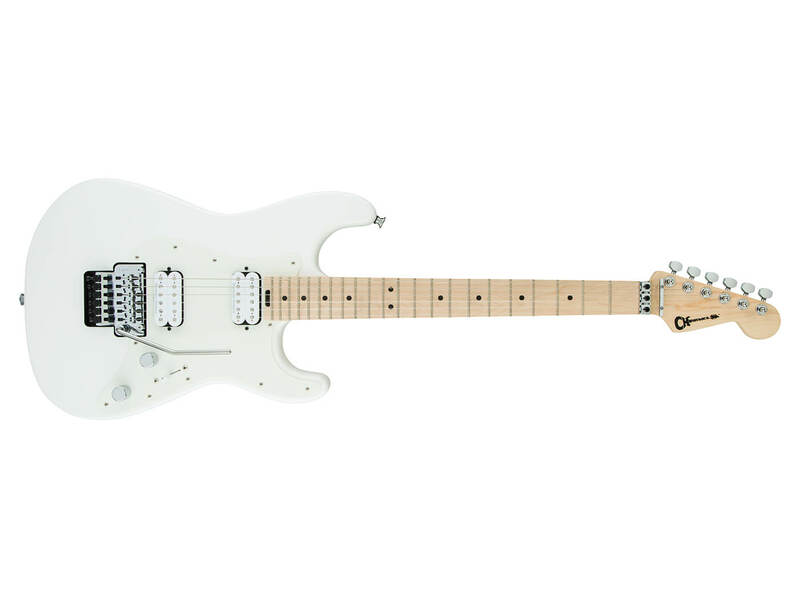 Headlining the brand’s offering is the 40th Anniversary Custom collection, which features 11 Custom Shop models recreated from Charvel’s original 1979 catalogue. 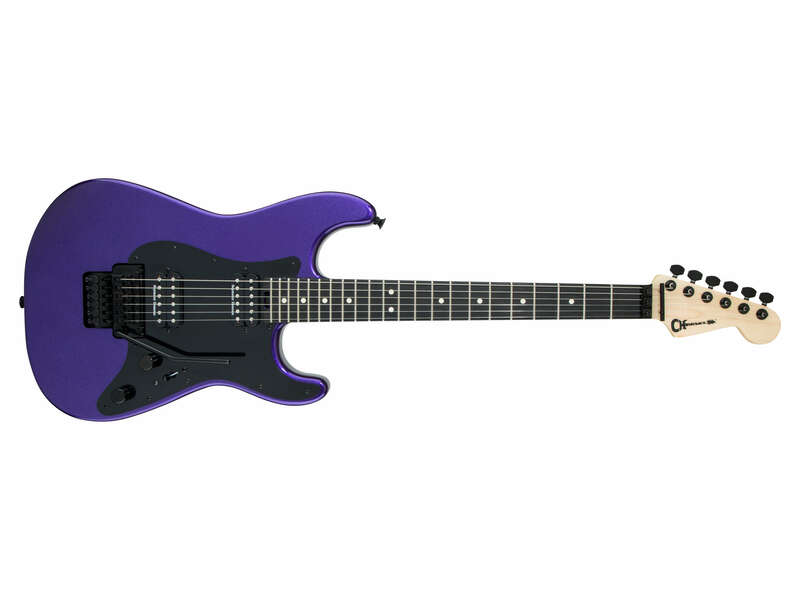 Other notable releases include a brand-new USA Select DK24 HH 2PT CM model and a signature model for Angel Vivaldi. 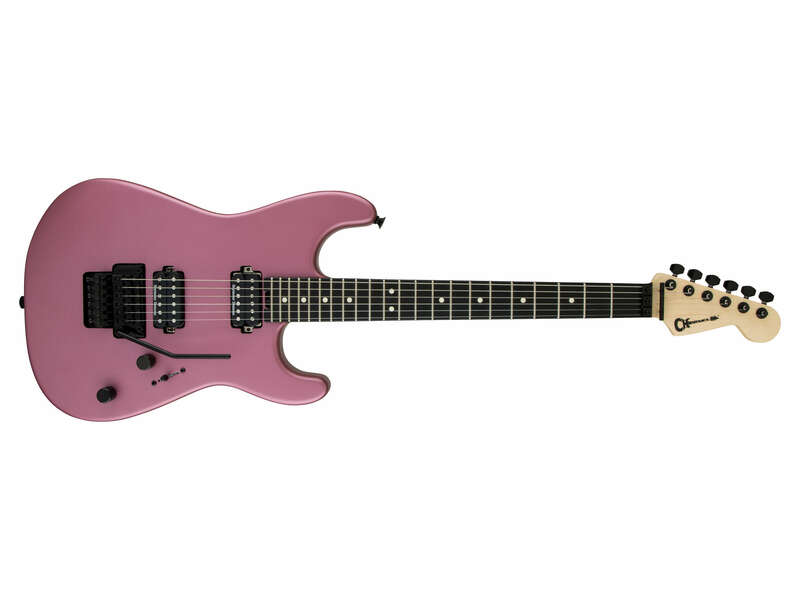 11 new guitars feature in this collection, but the standouts are a trio of Charvel Star models in Rocket Red, Pink with Black Spider Web, and Gold with Shazam Lightning Bolt. 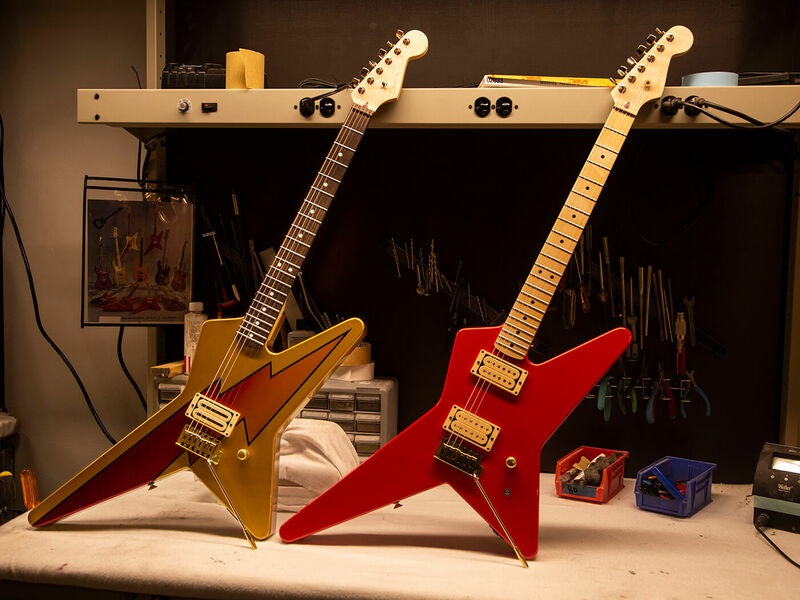 Also notable is a pair of Charvel San Dimas Style 1 models in their original Candy Apple Red and Cherry Burst coats. 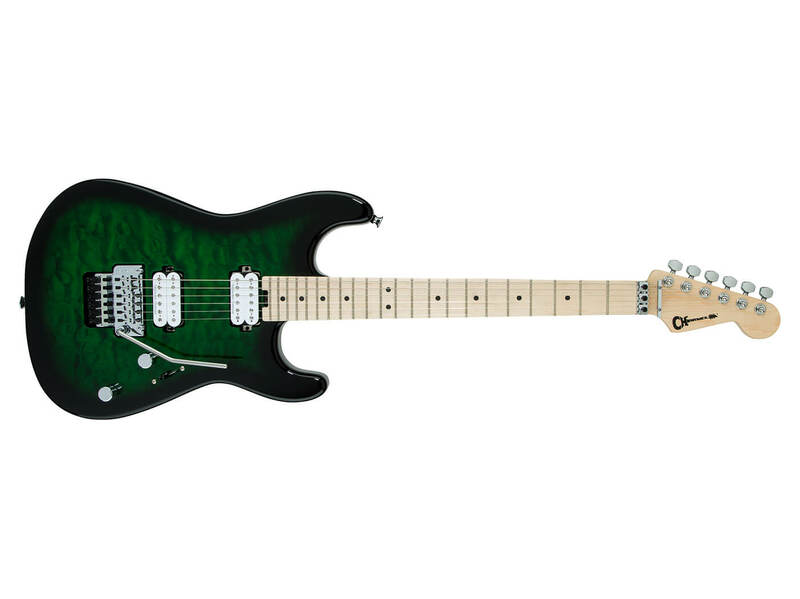 The guitars also feature era-specific appointments, such as an 11-inch radius straight fingerboard for speedy solos and an original Charvel brass Nos bridge and tremolo system. Angel Vivaldi is widely regarded as one of the finest modern instrumental guitarists, and it’s only fitting that his new DK24-7 NOVA signature model is spec’ed for fast, ferocious playing. The axe comes with a three-piece, bolt-on maple neck – customised to Vivaldi’s preferences – that has a smooth, hand-rubbed oil back finish. The guitar also features a HH pickup configuration, which consists of a DiMarzio The Tone Zone at the bridge and a DiMarzio Air Norton at the neck. Wrapping up its look is a Gotoh Custom 7-string 510 tremolo bridge and a sleek Satin Sage Green finish. Elsewhere, Russ Parrish’s signature Pro-Mod DK model will now be offered in a flamboyant Slime Green Bengal finish – the perfect match for his off-kilter style. The DK24-7 NOVA and Pro-Mod DK retail at £1,139 and £1,249, respectively. New to Charvel’s USA-made line is the USA Select DK24 HH 2PT CM. Designed for the modern player, this guitar comes with a two-piece, bolt-on quartersawn “speed” neck made from caramelised maple. On the guitar’s back, you’ll find features that encourage easier upper fret access, including a scalloped lower back bout and a shredder cut heel. Tone comes by way of a Seymour Duncan Full Shred SH-10B humbucker at the bridge, and a Seymour Duncan Alnico II Pro APH-1N humbucker at the neck. The former is voiced for commanding, articulate tones, while the latter produces the buttery warmth of a vintage tone. Available in Oxblood or Satin White finishes. Retails at £2,639.